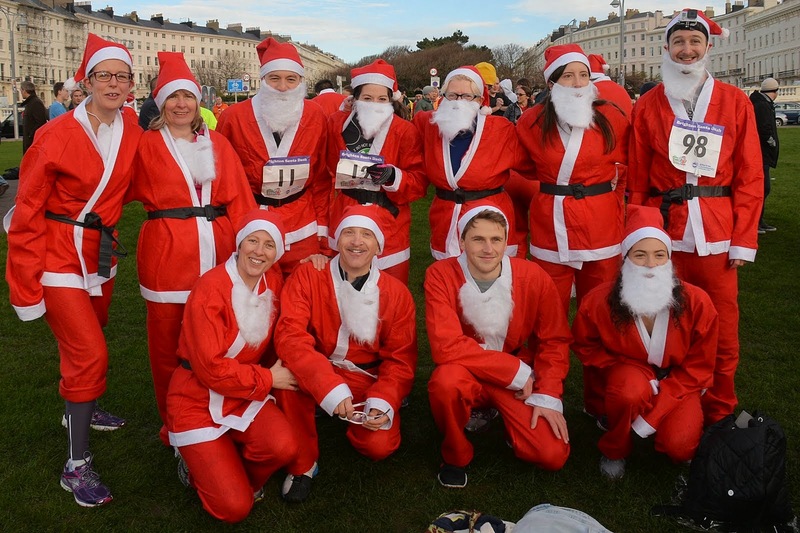 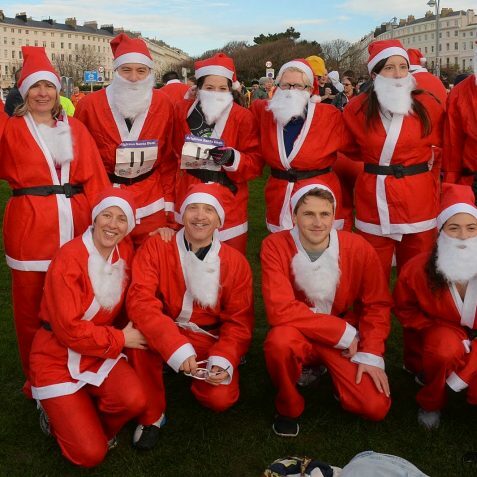 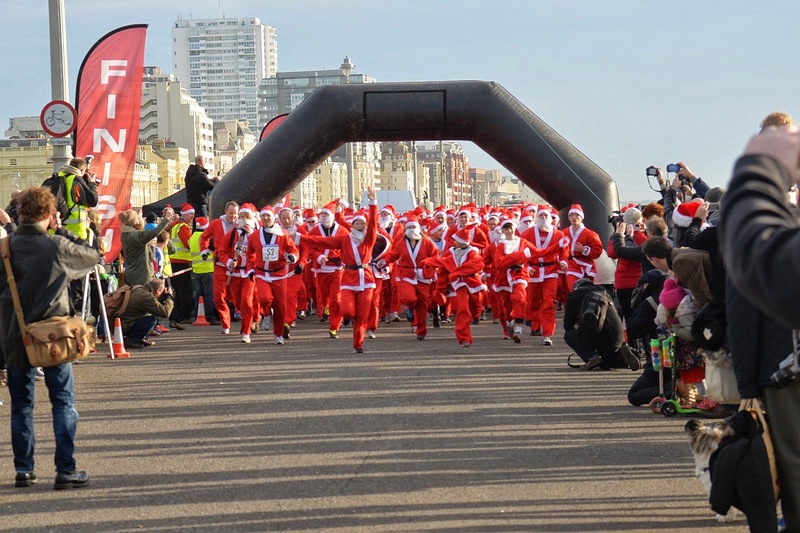 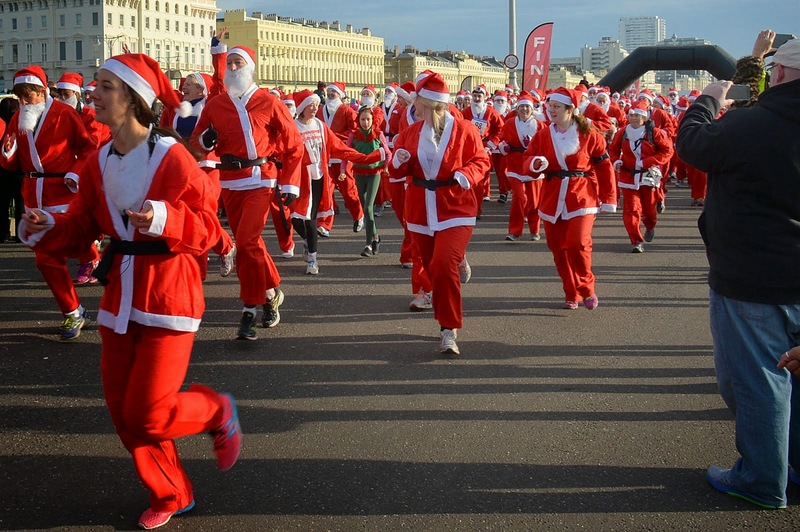 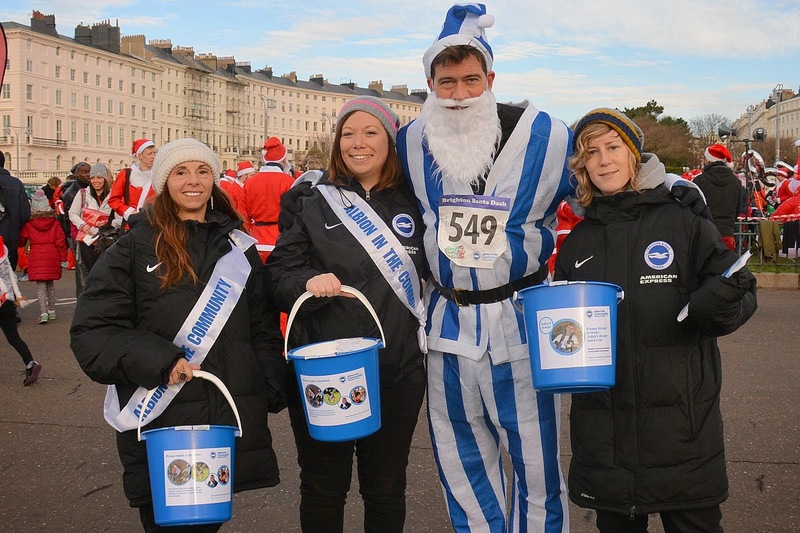 After a week of dark and inclement weather the sun shone brightly on this year’s Brighton & Hove Santa Dash. 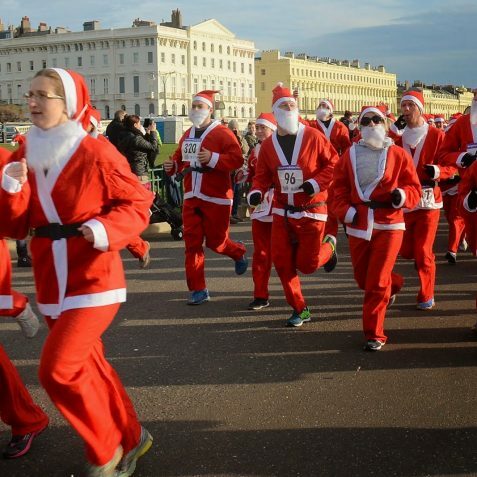 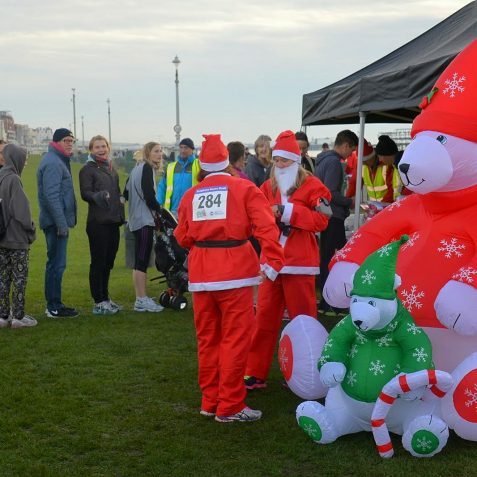 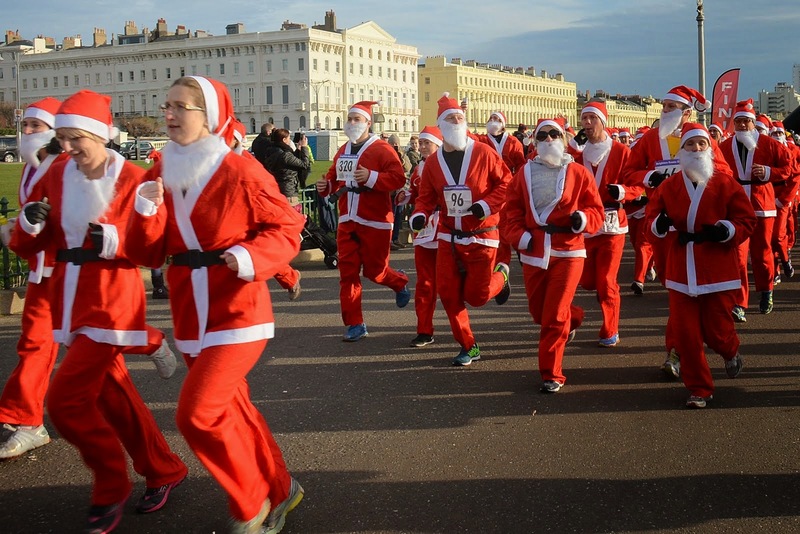 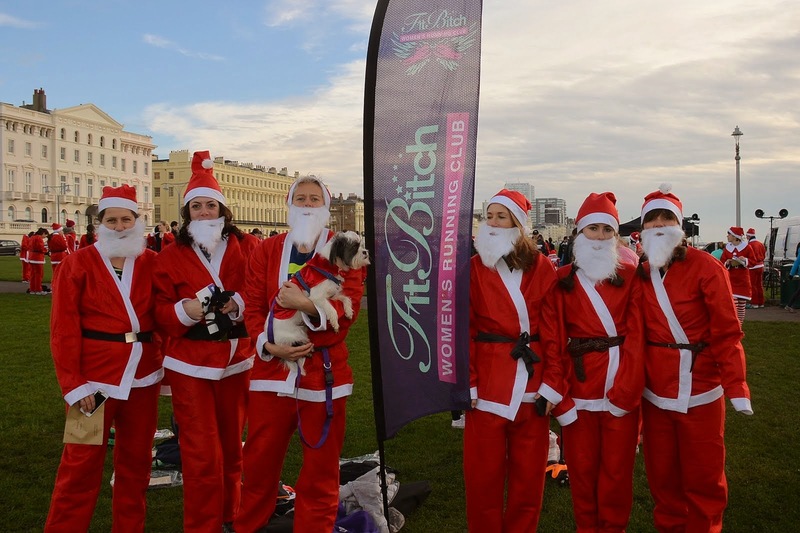 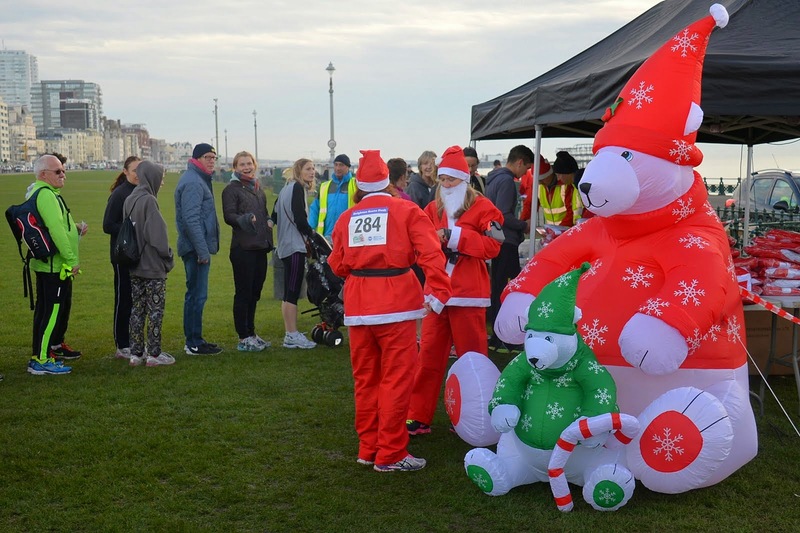 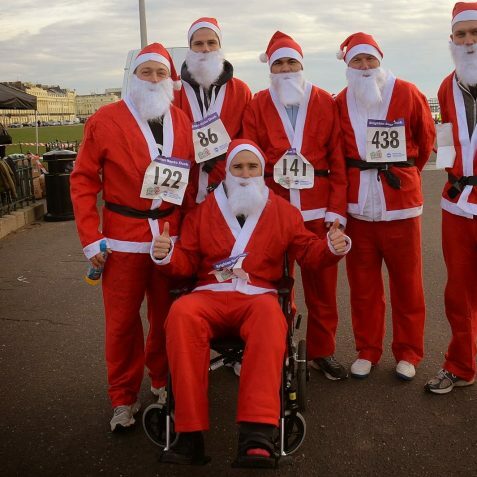 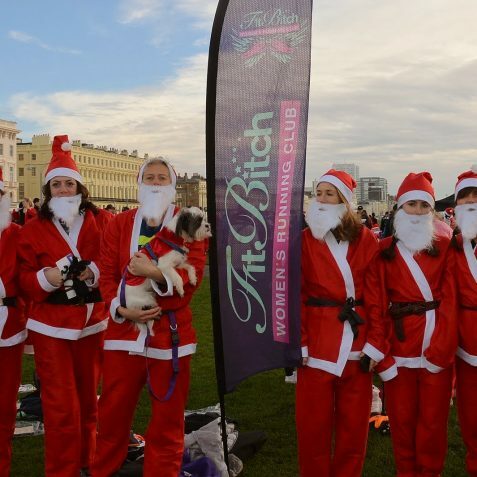 Hundreds of runners dressed up as Santa to run 5k along the seafront to raise money for charities. 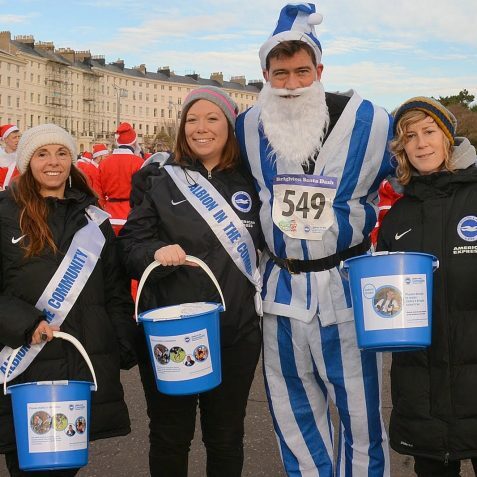 Amongst others these included Pay it On Africa, which provides schools for African children, and the Brighton and Hove Albion FC charity, Albion in the Community. 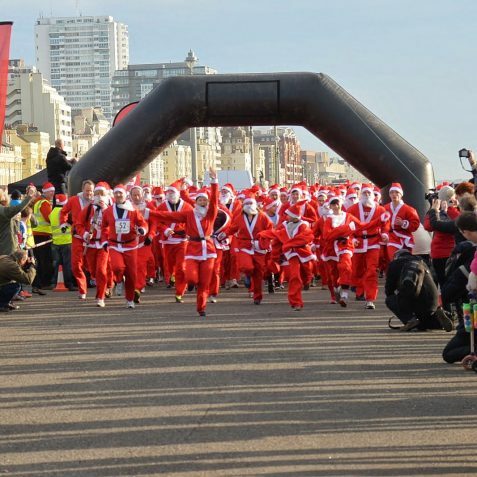 The Santa dash race route is a nice flat out and back run. 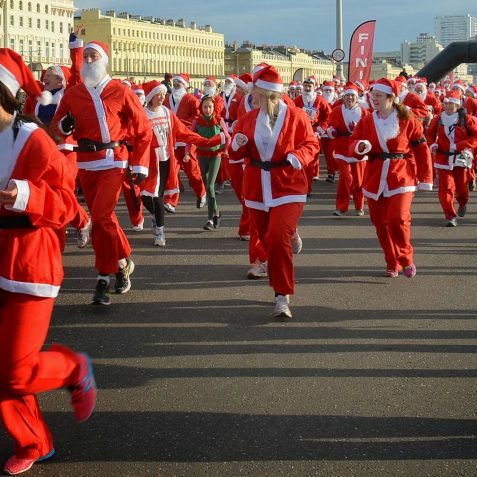 Having entered each Santa wins a medal regardless of whether they completed the course at competition speed or just took a comfortable stroll. 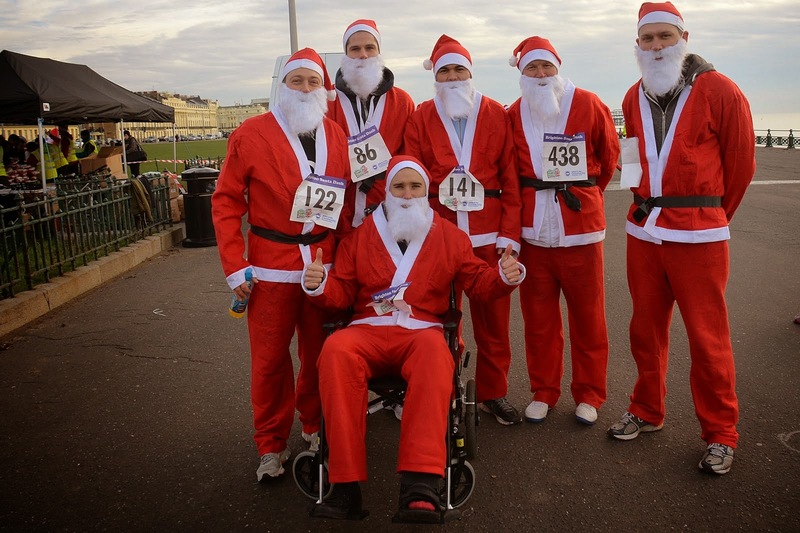 What a great way to have Christmas fun that helps others less fortunate. 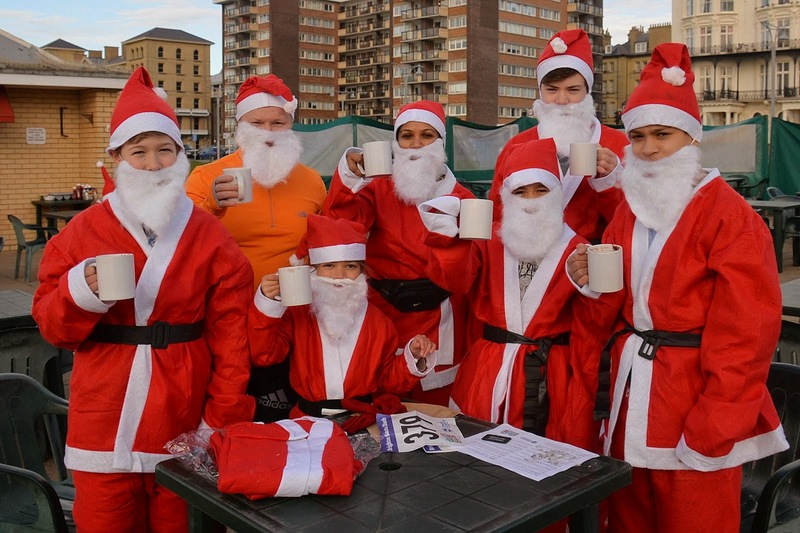 Well done all Santas – young and old!